I AM Maitreya. I’m still learning English. It’s not very good when you make jokes and nobody understands them! Us ascended beings are always accused of not having a sense of humor, so we have been learning what a sense of humor may be. So sometimes we make jokes and we don’t quite get it right. So welcome everybody to my birthday party! And it is, I would say, permissible, to say thank you very much, in return. Because I’m Lord Maitreya, the Buddha, it does not mean that you may not speak to me, that you may not interact with me with voices. Would you please understand that you, each and every one of you-not only each and every one of you here, but each and every one of you that are incarnate on this planet now, or have been incarnate on this planet at any time-are just as equal as I am. I am equal to you, you are equal to me. It is a thing that many of us that are known as the Ascended and Galactic Masters do not understand. We have the title “Master” because we have achieved self mastery, not because of any other reason. There is no reason for humans to think that we are above or better. And the thing that we cannot understand is why humans stampede in their droves to give their power away to us. 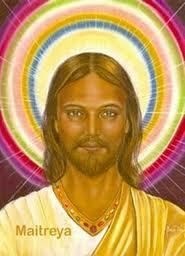 My brother Jesus-or Sananda, as his real name is-he came to this earth, or our earth, your earth, to teach all ones about compassion, about non-judgment, about unconditional love, about healing through unconditional love and forgiveness. And look what happened! Some of the original followers of Jesus are now begging Jesus to save them from his other followers. Fundamentalism is rife, and the name of Jesus has been taken and placed into a system of control which is interlinked with state, with government. “So you’re not having a very happy life? Work harder! So, things are happening in your life that you don’t particularly like? Well no trouble-just work harder!” That is what the State and the Church always say. If you work harder, you have less time to think. If you work harder, and you don’t think, you go to the priests and say, “Hey, could you please ask God for forgiveness for me?” Wake up brothers and sisters of Earth, wake up! You were all forgiven before you sinned! Of course, there’s no such thing as sin-I use the word metaphorically. Yaweh, the being that you consider to be God, your Creator, is not judgmental. But beyond that, Mother/Father Source, the Source of All Things, the God/Goddess, the male/female energy of harmony and balance, is also non-judgmental. You do not have to suffer; you do not have to crucify yourselves, or be crucified. If you like, you may ask Jesus about that one. He learned-that there was no need for that. And the priests have put forward that Jesus died for you. How can human beings that have got thought processes, and are deemed to be intelligent life forms, fall for a trick like that? Jesus died upon the cross because he chose that-and he didn’t even die! I will try and refrain from telling some of Sananda’s jokes about the crucifixion. We will save those for another day. We will speak more about Wesak. We will speak more about my birthday. I Buddha came to this earth to bring about certain realizations for myself. Earth is a very good schoolroom. You can learn and realize things upon this earth in a very short time. When you’re going through your processes, and you maybe have 50, 70, 100 years upon this planet, it may seem like a long time, if you feel that you are trapped inside your body. But believe me, time does not exist. It is an illusion, another control system, put together by humans. Time does not exist because the past is gone. The split second in which each fraction of a word comes out of the mouth and is channeled, and you hear, is the only time that you have to live in. The future has not been dreamt into existence; it has not been created and co-created, for you are the creators and the co-creators of the future. You are the creators and co-creators of your own lives, the creators and co-creators of all that happens upon your planet. So learn, my friends, to live in the moment. Humans have a tendency to live in the past. You have a word for it in the English language: it’s called reminiscing. When you reminisce and you live in the past, your attention is there, it is not in the moment. You live in the past, you live in what you consider maybe the trauma of the past, the fear of the past, confusion that happened in the past-and that confusion stays with you in the split second, in the moment. Brothers and sisters of Earth, now is the time to realize that Unconditional Love for yourself, first, is the road to freedom. Many would think that freedom is the ability to go where you please and do what you like. To spend these funny pieces of paper and these tokens that you call money, to be able to travel to far off places, to be able to buy, to exchange this stored material energy in the form of tokens for goods. To be able to possess whatever your mind thinks would be nice for you, whatever your mind pines for and dreams of-your conscious mind. Brothers and sisters, that is not freedom. Do you know what freedom is, true freedom? True freedom is freedom from fear. For there are only two energies at work in the universe, there are only two energies at work in the whole of creation-one is Love, and the opposite side of it is fear. Everything that happens outside of Unconditional Love-and don’t confuse this word Love for that confused emotion that many of you experience, that emotional roller coaster that makes you feel fantastic and good, and then all of a sudden one day lets you down to a big bump. “Well I was in love, but now I’m not!” So now I’m disappointed. So now I am again in fear. So now again I judge-I judge myself, I judge the other person that I loved. Think about it, when it’s put into so simple terms. Just think what it means. Unconditional Love is love without conditions. Unconditional Love is loving yourself, and loving absolutely every part of yourself, loving the thoughts, words and deeds that you did in the past, the ones that you now feel guilty of, the ones that you say, “Well, I wish I never did that, and if I didn’t do it, now I’d be a better person.” Those thoughts are self-defeating. Those thoughts are rubbish. They should be consigned to the fires of purification; they should be consigned to the energies of love and light for transmutation into harmony and balance. There are many words spoken about freedom. There are many words spoken about “en-hyphen-lightenment” Many of the words are confusing. And as I have said before, so many control systems built up around them. “If you don’t behave yourself, you will be punished! You will go to hell!” Do you know what “hell” is? It’s a creation of your own minds-for, in a split second you can be in hell, and in a split second you can be at home and in freedom. Notice that I didn’t say “heaven”, for heaven is also a trap. Heaven is a place in time and space, heaven is a place in fourth-dimensional reality that many have created. Different kinds of heaven there-heaven of the Christian philosophies, heaven, the Happy Hunting Grounds of the North American Indians, the Valhalla of the Norse warriors-you can be there, enacting anything and everything that you want, just enacting everything, everything that you want. What is the point in enacting these things? Remember, you are multidimensional beings. Creation exists on so many multidimensional levels-it exists in twelve dimensions, 352 levels throughout those dimensions. You, my friends, my brothers and sisters, are beings that are already present-whether you know it, believe it, accept it, appreciate it, or not-you are multidimensional beings NOW! Always have been.Why be stuck on the seventh level of the fourth dimension, when you can achieve mastery, and be conscious on all 352 levels? Your physical body is only your vehicle of experience in this dimensional reality. That is why you take bodies, so you can live in this third/fourth dimensional reality. In the fifth dimensional reality you have bodies of light. These bodies of light are crystalline consciousness. And with these bodies of light you can travel, throughout all the other dimensional realities-and you can interact with all the beings who live there. Think you’re the only beings in Creation, hanging out here on this planet? There are beings living in every dimensional reality. Yes, some of them follow the plan of the Creator, some of them, they have chosen to try and take their own way. Believe me, that is not a judgment, because all happens in accordance with Divine Will. Understand that each and every one of you are sparks of consciousness which were created at the outpouring of this round of Creation, and ultimately there is nothing that can happen outside the course of Divine Will. So even judging the beings who work very hard on your behalf, to teach you discernment-they’re not even in for judgment. Many say they’re bad, many say they’re not following the plan, but their activities are designed to get you to wake up and realize exactly who and what you are. Who-and what-you are. use the phrase metaphorically, deep within my heart I say to each and every one of you that today is also your birthday-or it could be your birthday if you wish, because today is the day that you could be reborn. You could be reborn. There is no need to go around shouting “hallelujah-I’ve been reborn!” But-reborn into a life of harmony, balance and love. I will say a few things about crystal skulls. There will be many other things said to you; I’m going to keep this brief. There are many myths and legends of crystal skulls, the same as there are myths and legends about all kinds of other things. Contained with all myths and legends upon your planet is the truth. They may be English legends, they may be legends from Amazonian Indians, from Aboriginals, from Aztecs, from the Norse people, from anywhere. Within all myths and legends is contained truth. 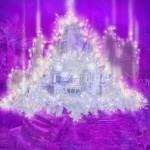 Many of the myths and legends about crystal skulls say that only ancient crystal skulls are the ones that do the work. Only ancient crystal skulls, which were created by beings that have long since left your planet, many created by beings of which now, you humans have no knowledge even of what they looked like or their activities. And these are the ones that will save the earth, save the people! Believe me, it is rubbish. There is no difference between a crystal skull that is carved yesterday or was made a hundred thousand years ago-or 250 million years ago. There have been life forms of your type on this planet for 250 million years, and before that was life forms of other types-and many of you incarnated also into those life forms. Understand that the legends, the way they are being interpreted, of the ancient crystal skulls at this time are blossoming into another control system. Ones have taken it, and they’re building up new myths around it, increasing their own power around it. Again, “We are the priests at the top of the pile! Give your power away to us, and we will save you all!” Forget it! This is not saying that these skulls don’t have great service to give to humanity, Mother Earth and her people. They do. But think about it, what I’ve said, in relation to control. Control is not love. And as I hold up my hands, the hands of this channel, and I bring through the hands of the channel and through the higher heart chakra of this body, and also ground through the energy vortex that is being created here-this love, some of you may feel. you may feel it running through your body and your hearts. And if you don’t, don’t worry, don’t judge yourself, know that it is happening. You could always go into denial, and create some more problems for yourself. Just allow that judgment, and feel. We will now turn to the energies…We will now start bringing the love through the crystal skulls, the ones that we have permission to do this through…the energy rises, rises, rises.. But feel the compassion of Mother/Father Source, the Creator.. coming down on you like a thunderstorm.. and could each one of you make a decision in this moment.. to step forward into freedom of wholeness.. My friends, feel the love.. be the love.. for you already are, the love..
Blessings. I leave you with my love. We are going to be using this channel quite a bit over the next few days, and the coming week, so we need to keep the body intact. I will leave you.